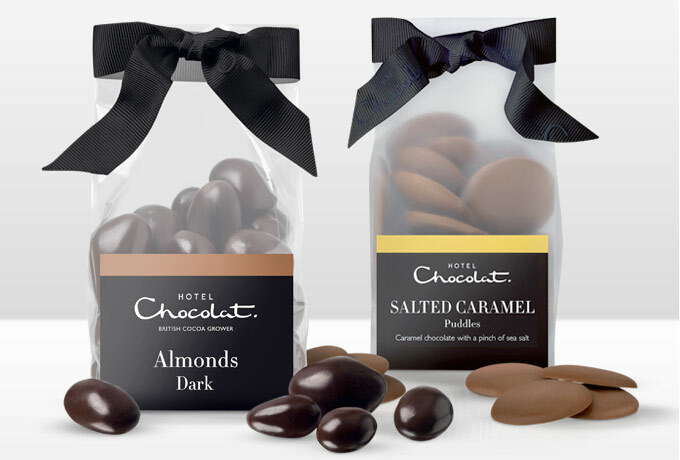 Caramelised Californian almonds enrobed in elegant dark chocolate. 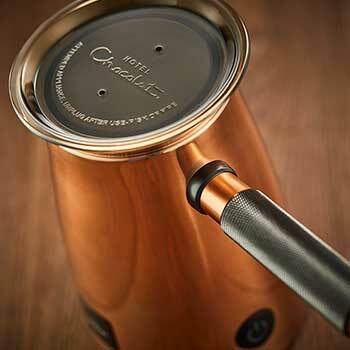 A delicious combination for all chocolate almond lovers by Hotel Chocolat. The perfect sweet-salty experience. Prime salted Californian almonds, caramelised for extra bite then covered in a cloak of 65% dark. Served in mini bags, ideal for popping into your bag or keeping on your desk for emergency mid-afternoon nibbles. We should warn you though; these are incredibly addictive! Ingredients: cocoa solids (cocoa mass, cocoa butter), ALMOND NUTS (26%), sugar, glazing agents (gum arabic, shellac), natural flavour (vanilla), emulsifier (SOYA lecithin), salt. Dark chocolate contains minimum 65% cocoa solids. For allergens, including cereals containing gluten, see ingredients in BOLD. May contain traces of other tree nuts, peanuts, milk, gluten, wheat, egg, sesame.